TORONTO – August 5, 2015: Urbanation Inc., the leading source of information and analysis on the Toronto condominium market since 1981, released its Q2-2015 market results today. A total of 6,297 new condominium apartments were sold across the Greater Toronto Area during the second quarter of 2015, representing growth of 11% from Q2-2014. Activity was driven higher by a large increase in sales of units that were under construction or recently completed. New projects opened for sale in the second quarter were also in high demand, with 56% of the 5,737 new launches absorbed in the period, up from 54% for new launches in Q2-2014. The level of unsold inventory continued to decline, falling 13% annually to a total of 17,709 units across all stages of development. Measured against the 20,763 units sold over the previous four quarters, there was 10.2 months of new condominium apartment supply, a level consistent with a balanced market and down from 13.5 months a year earlier. Completed and unabsorbed inventory declined to 1,425 units at the end of June from a recent high of 1,647 units at the end of March. Units at the occupancy stage were 94% sold, under construction units were 87% sold, and pre-construction units were 67% sold. 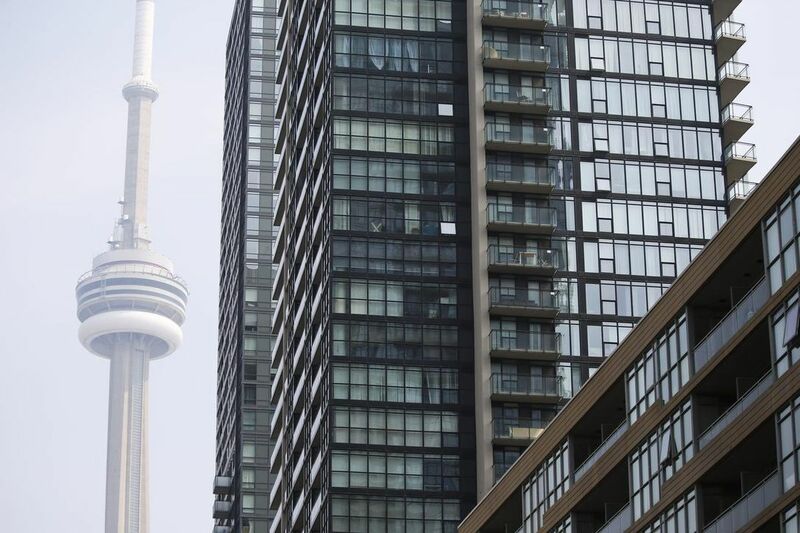 “The Toronto condo market remains highly absorbed as demand is showing strength across the board. From higher-end product in the core to more entry-level units in the 905, sales and rentals are trending higher” said Shaun Hildebrand, Urbanation’s Senior Vice President. Price appreciation for new condos remained moderate with 2% annual growth in the second quarter to an average of $566 psf. Meanwhile, annual resale price growth accelerated to 6.8% to an average of $453 psf as sales soared by 21% year-over-year to a record 6,443 units in Q2-2015. The same type of growth was seen in the condo rental market, where the volume of leases grew 22% from a year earlier to a new high of 8,200 units and average rents increased by 4.6% annually to $2.48 psf.